Dad came home beaming not only with apricots ( and cherries, strawberries, oranges, new zealand pacific rose apples, persimmons, nectarines) but also with two ginormous durians 😀 Yayness! The fruit stall uncle that we frequent handpicked a few durians to sell ( talk about quality control) and claimed that these two babies were from the breed often hailed as the king of all kings: Mao Shan Wang. There was of course no tag or certification whatsoever that proved that these were the real deal but dad gave him the benefit of the doubt anyway. The pulp was rich, buttery and creamy beyond words. And of course, the smell wafted from the first floor to the second floor leaving almost the whole house scented (tho some might beg to differ) with durian aroma. The difference between Mao Shan Wang and its inferior cousins is its bittersweet flesh. 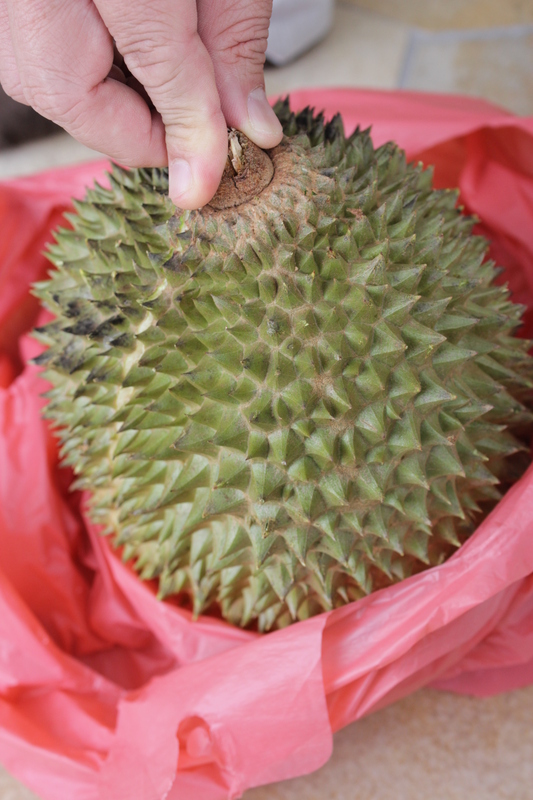 We loved these durians even more than the ones we usually have at this time of the year at dempsy road. 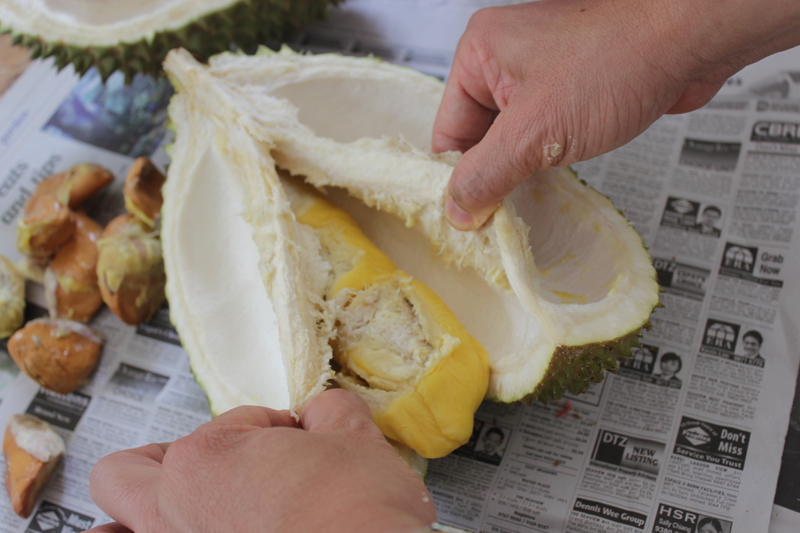 But the experience of eating durians in an open air carpark is unreplacable so looks like a visit to the the durian stall at dempsy is on the cards! I love love durians too! There’s a durian stall at dempsey?! Yes there is and it has been there since forever. My dad used to go there after work to eat durians xD It’s an open-air stall located in the area where buses park (facing the main road). But the old uncle charges a premium for his durians because they are harvested specifically from certain trees in malaysia that he owns. It’s a pretty rustic experience, eating under an umbrella and sitting on plastic stools! 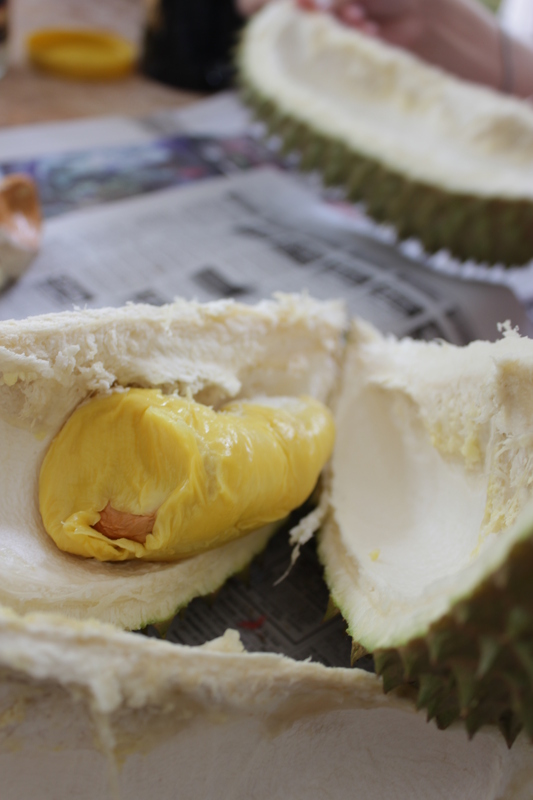 Durian is awesome. 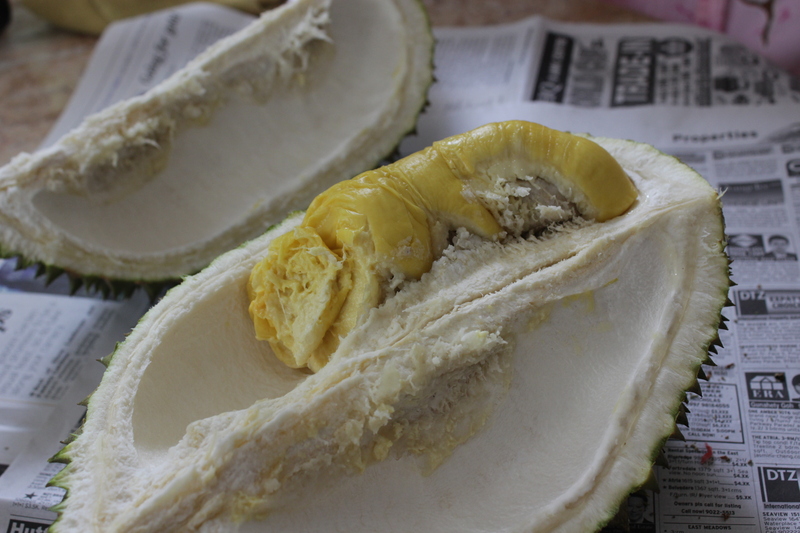 Those who doesn’t eat durian is really missing out the good stuff! I usually eat durian at Yishun and Geylang! Durian heaven indeed. haha. same 😉 But that day we were really stuffed after eating just 3 seeds each because we had a heavy lunch of yong tau foo and tang yuan in chinatown!